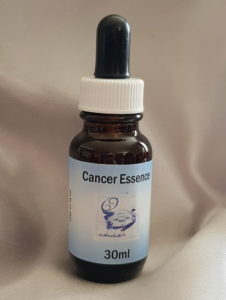 Cancer Essence is the fourth in our Star Sign Range. Also the fourth sign of the Zodiac Cancer The Crab (22nd June – 23rd July) has its basis in the crabs claws symbolising the clinging nature of this sign. Cancer is the sign of dreams, sensitivity, gentleness, imaginations and tenacious memory. Cancerians keep and idealise past events, feelings and memories in order to shield themselves from the uncertainties of the future. The Cancer character is almost always burdened by situations or relationships of the past that Cancer refuses to let go. There may be issues of co-dependence and ‘smother love’ that need attention. Positive karma often takes the form of the nurturing Cancer has given. The challenge for this sign is to find a way to nurture self rather than to rely on emotional support from others. Cancer matches easily with Scorpio and Pisces and gets along well with Virgo and Taurus. The challenging relationships are with Capricorn, Libra and Aries.